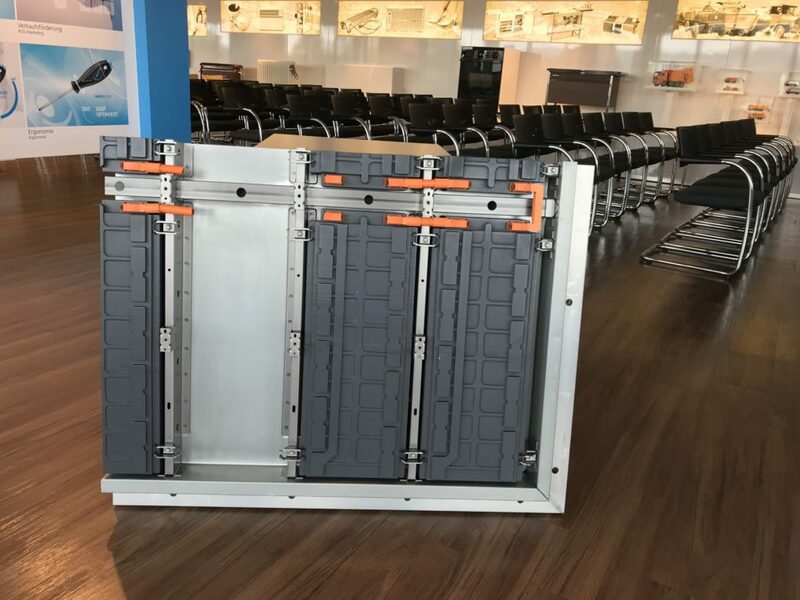 Yesterday still the star on the fair – today one of the highlights at the Strategy Day in Iserlohn: our battery housing. With this exhibit we were absolutely en vogue at the IZB. Today about 70 employees of the Iserlohn plant will take the chance to learn more about this and other development projects. 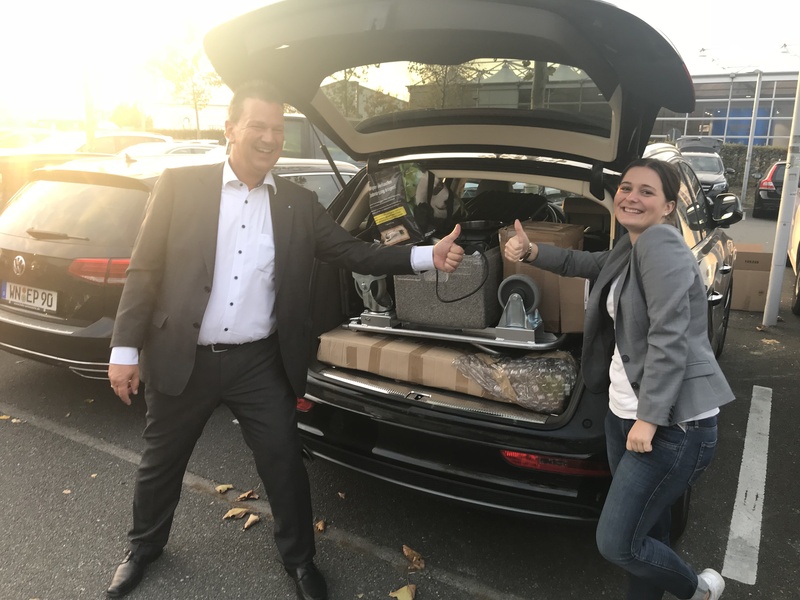 We say good-bye for the trade fair season 2018 and are looking forward to Auto Shanghai in spring 2019. 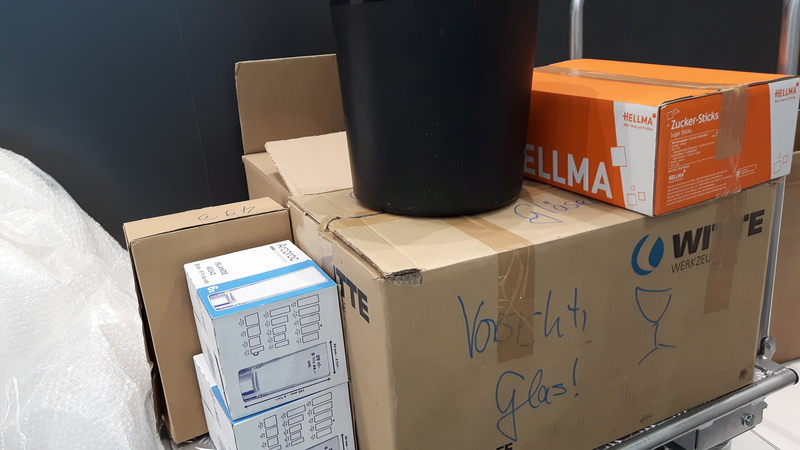 Der letzte IAA-Tag 2018 neigt sich dem Ende zu – unsere Regale leeren sich, die ersten Kisten sind gepackt. 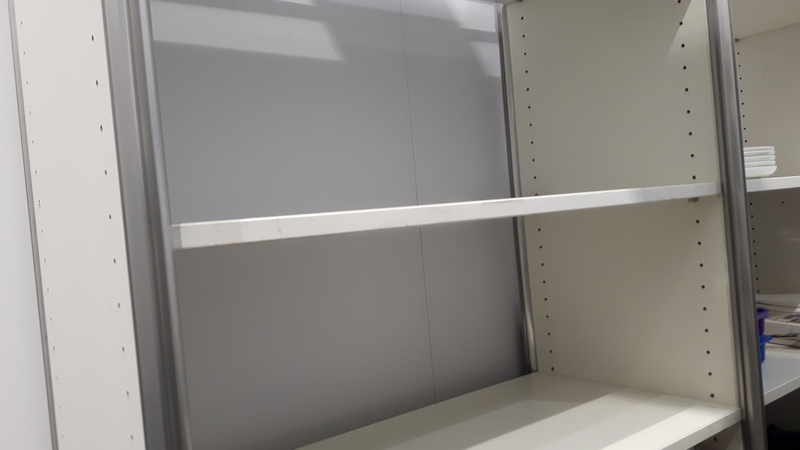 The last day of IAA 2018 is slowly coming to an end – our shelves are emptying, first boxes are packed. Schnell geraten ist halb gewonnen! Quickly guessed is halfway won! 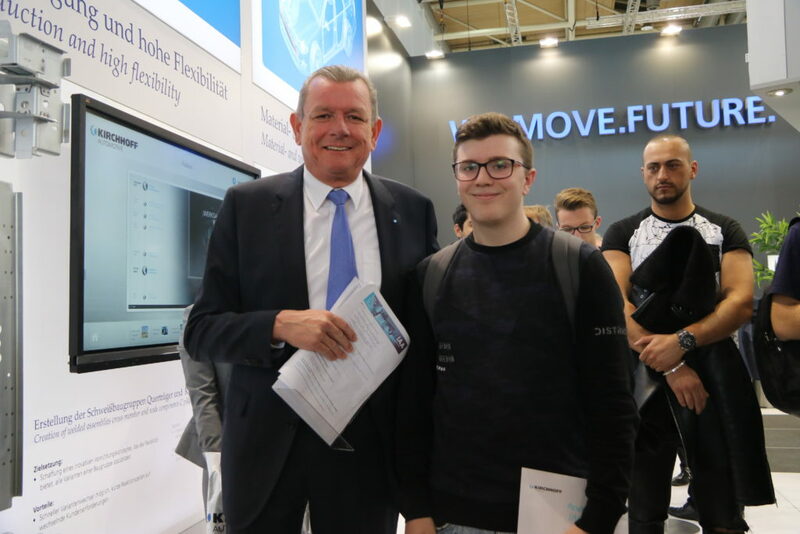 NRW-Verkehrsminister Hendrik Wüst besuchte uns heute auf der NKW IAA. Besonders interessierte er sich für unser Batteriegehäuse – J. Wolfgang Kirchhoff und Andreas Heine gaben gern Auskunft. 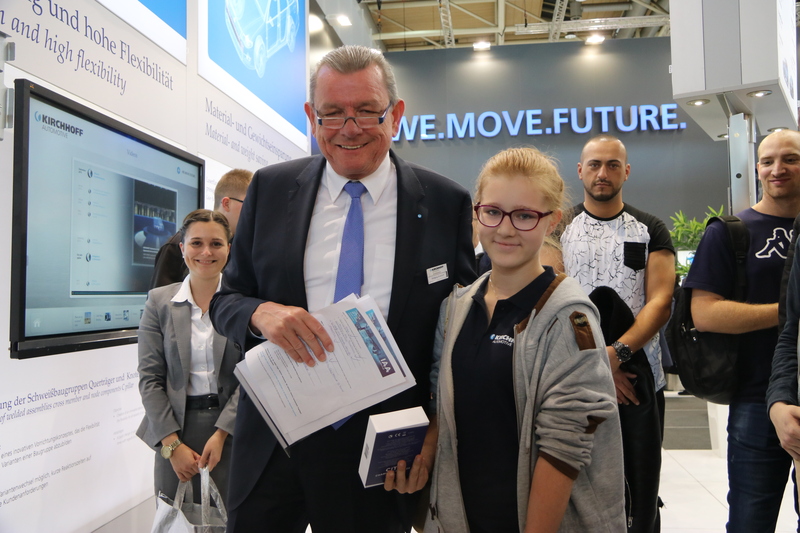 The Minister of Transport in Northrhine-Westphalia, Hendrik Wüst, visited us on the IAA Commercial Vehicles today. 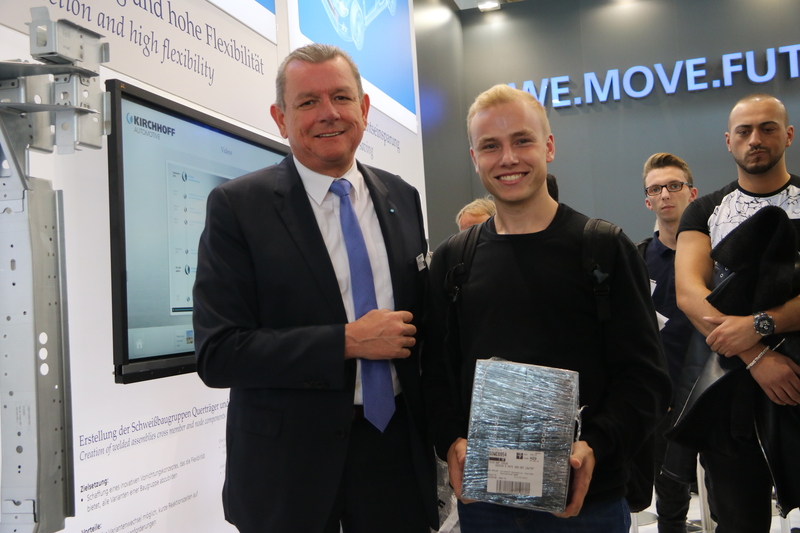 He was especially interested in our battery housing – J. Wolfgang Kirchhoff and Andreas Heine were pleased to provide information. Heute besuchen uns traditionell unsere Azubis auf dem Messestand. J. Wolfgang Kirchhoff und Andreas Heine haben die beiden Gruppen aus Attendorn und Iserlohn begrüßt und einiges über unsere ausgestellten Produkte erklärt. Anschließend ging’s los zur Azubi-Rallye. 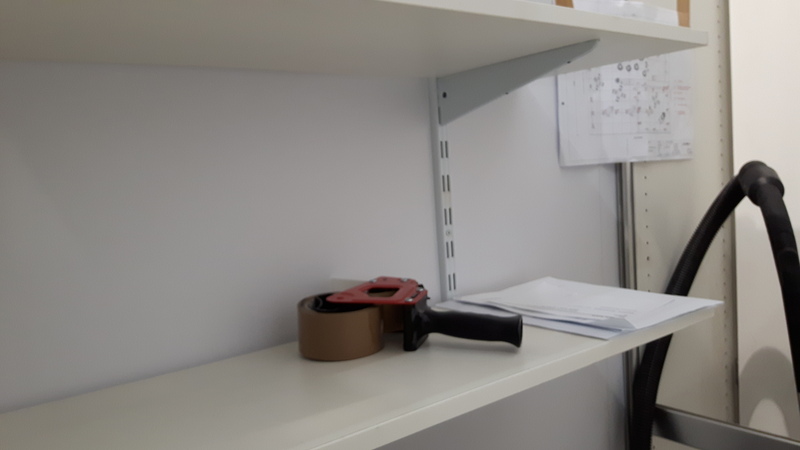 Wer wohl dieses Jahr die begehrten Preise abräumt? 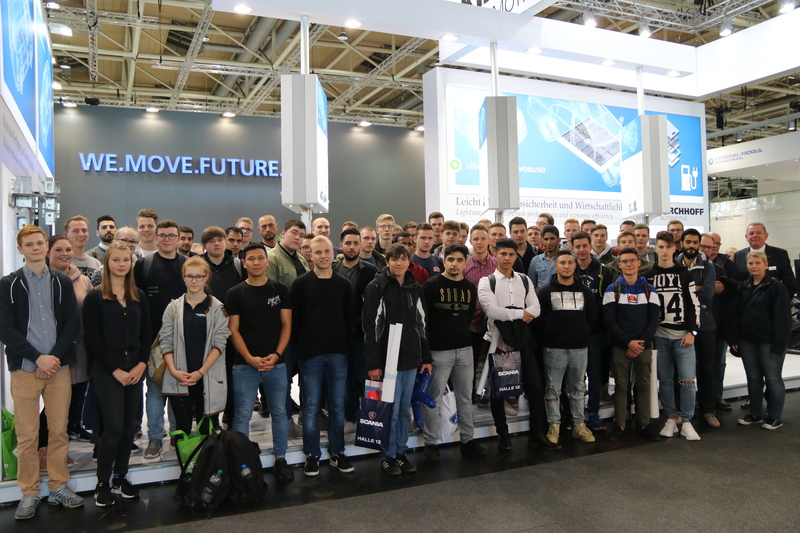 Today, as a tradition, our apprentices visit us on our trade fair stand. J. Wolfgang Kirchhoff and Andreas Heine have welcomed both groups from Attendorn and Iserlohn and explained a lot about the products we have on display. Afterwards the apprentices started off for the rallye. Who will win the popular prizes this year?